Brix is a mix of concrete, glass and steel featuring 141 units. 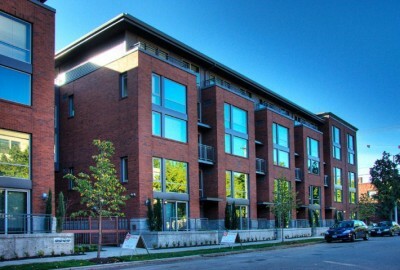 There are two distinctive types of Brix homes; Broadways Flats and Brownstones/Lofts. The taller flats that were built on Broadway feature open-one, one and two bedroom plans. The Brownstones built on the tree-lined 10th Avenue East have been a wonderful addition to North Capitol Hill. They feature private entrances, professional lanscaping, and a traditional brick exterior. Brix is a compliment to the “Hill”. Although amenities are limited, the rooftop deck, private courtyard and access to everything make this building a good buy; or at least something to consider.